A plan for nearly 16,000 new homes in West Oxfordshire has been approved by district councillors, ending a process which stretches back nine years. West Oxfordshire District Council’s Local Plan, which establishes a blueprint for the development of the area until 2031, was adopted at an extraordinary meeting on Thursday (September 27). Council leader James Mills said: “There are many competing demands in West Oxfordshire and we have had to strike a balance that secures the greatest number of benefits for the largest number of people. The Local Plan sets out how the district can achieve economic growth and a housing target of 15,950 homes, although some have already been built as the plan covers from 2011 to 2031. It identifies the ‘most suitable’ sites for new housing and what accompanying infrastructure, such as road improvements, schools and play facilities, is needed. Cabinet member for planning and housing Cllr Jeff Haine added: “Over the last few years we have had a number of planning decisions overturned because we did not have a Local Plan in place. The draft Local Plan was first submitted to the Planning Inspectorate in July, 2015, but the examination was suspended due to the inspector’s concerns around housing targets and he requested that more work be undertaken. 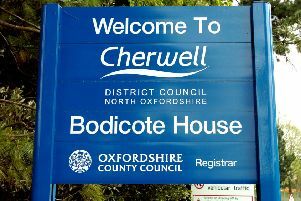 It was re-submitted in March, 2017, with 15,950 new homes proposed compared to 10,500 previously including a contribution of 2,750 homes towards Oxford’s ‘unmet’ housing need, and accepted by the planning inspectorate in August.